I went back and forth a lot with regard to this page. Not about whether to include it or not, but whether I should actually start here instead of, ultimately, where I did. To be honest, I––like many modern media consumers––am a bit sick of obtuse opening scenes in tv shows and comics, especially. 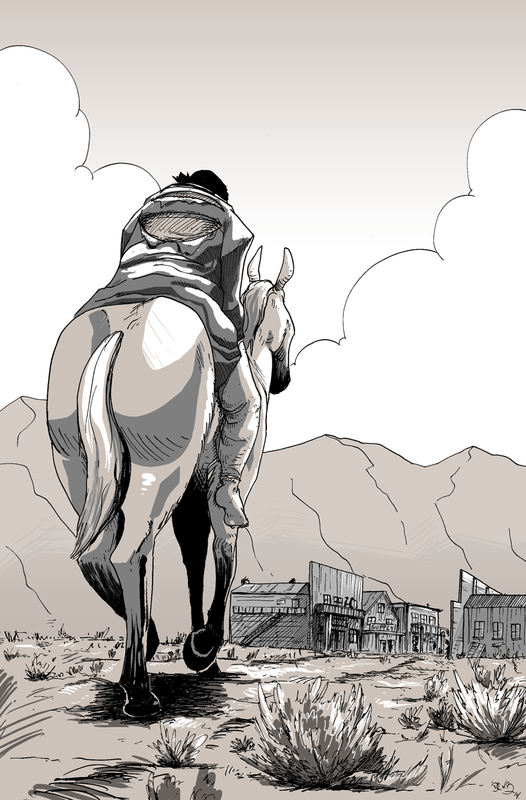 So, naturally, I start my comic with one. With this page, the actual story starts, and the patient reader had to wade through eleven pages of mystery and metaphor to get to the story. But Long John is about character and, in the long run, I found the opening scene to be important to Long John and who is at the start and where he will end up. Either way, we ended up here. 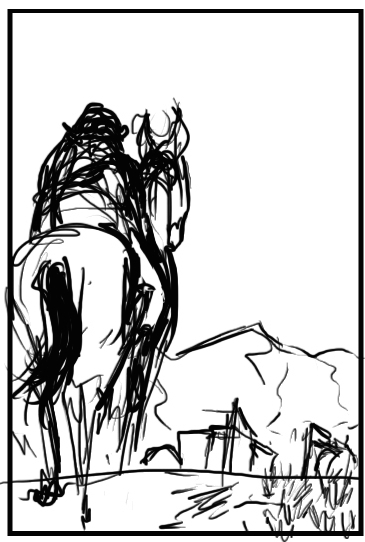 Horses are hard to draw, from almost any angle. To commemorate the beginning of the new scene, a few updates have been made to the website. Mostly, the changes have been aesthetic or behind-the-scenes stuff; the big addition, however, is that we now have a functioning archive. So, now if you take some time off between reading Long John, you can go through the archive and find the last comic you read a bit more easily than continually clicking the “back” button. Hooray for progress (thanks go to Phil “Frumph” Hofer for all the help…again). Here’s the thumbnail for this page.